Compared with similar products, 's led street light has the following advantages. 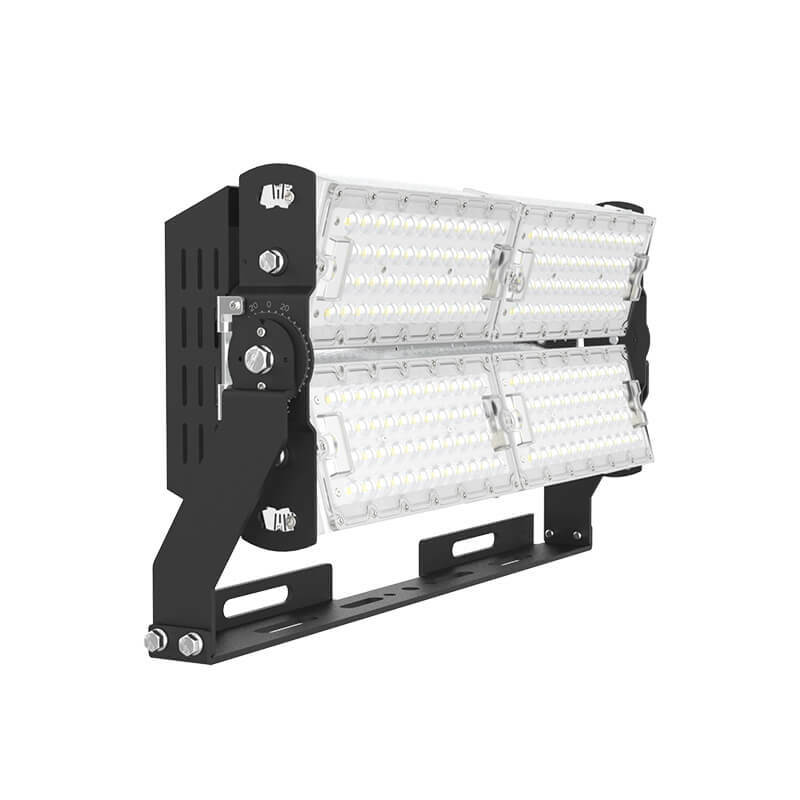 LED Stadium light/Spot light/High mast light can be used as LED flood light,sport light and tunnel light.Rotatable Multi-Modular.150-160lm/W ultra efficient. Thre-dimensional rotary bracket design,horizontal,vertical adjustable,with a clear scale table,angle adjustalbe as demands. Dial dial is more accurate and convenient for customers to adjust the angle. Screw lock attached installation,multiple adjustable points enable adjustable angle up to 360 degree. Adjustable single module can be adjusted up and down. Screw lock installation. The single module can be adjusted to adjust the angle 15 degrees to meet the special lighting applications. Fins keep same distance between each other and buckle tighten them as a whole.This structure strengthen firmness of fins and maximize heat-dissipate area with minimum weight. The combination of high thermal conductivity materials.The whole lamp is tested by thermal radiation: TFL- 960W-B The lowest operating temperature of the radiator is 35 degrees, the highest temperature is 69 degrees, the lowest operating temperature of the LED light source is 35 degrees, the highest temperature is 84 degrees, the whole product greatly improved the life and stability. SEEKING offers free lighting design simulation service, including various indoor and outdoor designs. A series of parameters, like the practical solutions, the layout of lights and the light distributions etc, could be offered after the simulations. We can also answer your questions timely, optimize designs continuously and provide the best lighting solutions for you. 1. 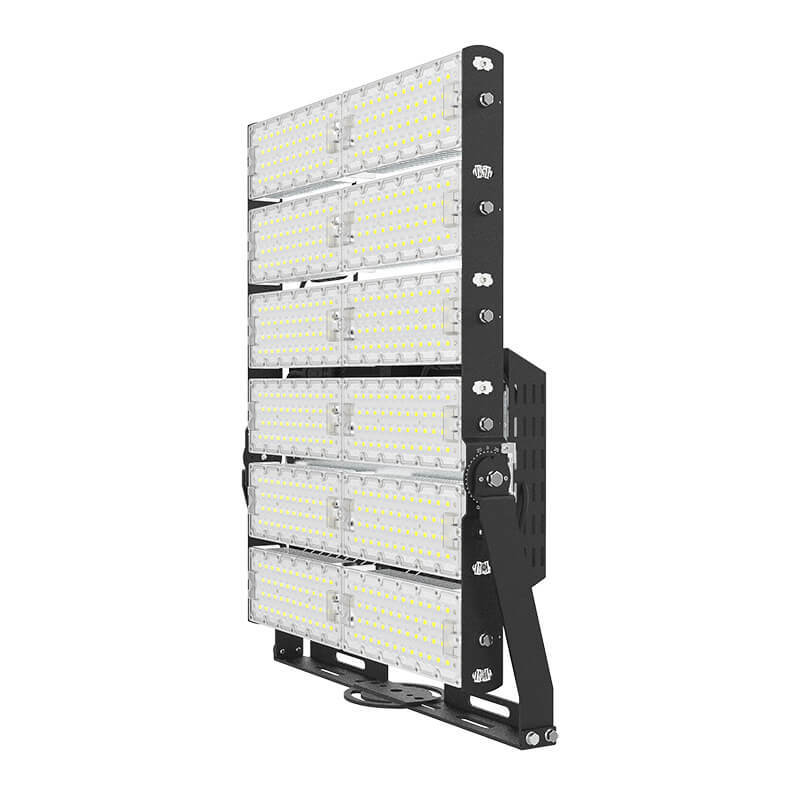 2018 Seeking LED-Lighting Limited is a large integrated enterprise specialized in flood light research, exploitation, manufacture and production. 2. 2018 Seeking LED-Lighting Limited has advanced processing technology and perfect product quality management system. 3. 2018 Seeking LED-Lighting Limited firmly believes that persistence will finally work out incredible achievements. Please contact us! Please complete the form below, and our sales team will be in touch with you shortly.